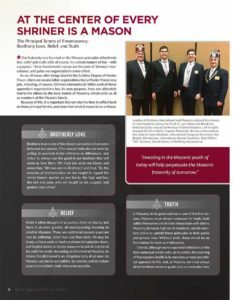 The Shriners International fraternity was founded on the Masonic principles of brotherly love, relief and truth, with of course, the added element of fun – with a purpose. It’s important that we take time to to reflect on these tenets and remember what it means to be a Mason and Shriner. 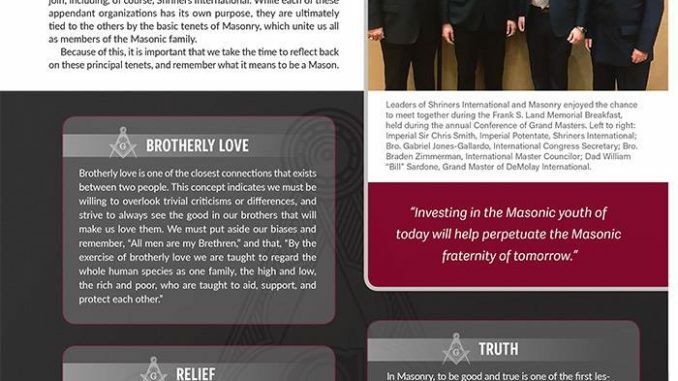 Read more in Shriner Magazine, online at shrinersvillage.com in the Media Hub section.